Ramsey, MN uses Rec1 for online registration. Use your Facebook or Google account to login or create your account. We only access your name and email for login purposes. BACKGROUND: The Ramsey Municipal Center, located at 7550 Sunwood Drive NW in Ramsey, houses the administrative and police functions of the City of Ramsey. The Municipal Center also serves as a location for various public meetings of the City Council, Committees, Boards and Commissions. Visit the City’s website at www.cityoframsey.com or call 763-427-1410 for current meeting schedules. The Ramsey Municipal Center contains five (5) conference rooms available for use by the public or outside organizations. Additionally, the City of Ramsey has multiple park facilities available for rent including an amphitheater, picnic shelters/pavilions, warming houses, concession stands and two buildings. PURPOSE: The purpose of this policy is to establish written rules, regulations, definitions and a fee schedule that shall guide the use and rental of available Municipal Center conference rooms and park facilities within the City of Ramsey. 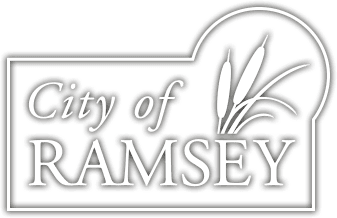 The City of Ramsey makes its facilities available for public rental to encourage community engagement and establishes rates that reflect prioritization of Ramsey businesses, organizations and residents. **Please note that the Alexander Ramsey Room also serves as the City’s official Emergency Operations Center (EOC). In the case that the EOC is in operation, outside use of the room will not be available. Please note that capacity for these rooms is listed as available seating. **Please note that the Park Center building does not have a dedicated phone line within the facility. **Please note that the amphitheater has a three (3) hour rental minimum. Events that are put on for the enjoyment of all Ramsey residents, such as The City of Ramsey Foundation’s Summer Event Series, will take precedence over private events. The Amphitheater will generally not be reserved for events or amplified music after 7 PM Sunday through Thursday, when K-12 schools are in session. Monday - Thursday: 7:00 a.m. - 9:00 p.m. Friday: 7:00 a.m. - 4:30 p.m.
New Year’s Day, Martin Luther King, Jr., President’s Day, Memorial Day, Independence Day, Labor Day, Veteran’s Day, Thanksgiving Day, (and the day after Thanksgiving Day), Christmas Eve and Christmas Day. An hourly fee will be charged to groups using the facility after hours and weekends or beyond the allotted times listed above. After hour and weekend use will be approved at the discretion of the Building Maintenance Supervisor, and must be approved in advance of fourteen (14) days prior to event. For more information, please contact the Building Maintenance Supervisor at 763-433-9815. ELIGIBLE USERS: Eligible users are broken down into four (4) groups: non-profit/youth organizations, business networking groups, homeowners association and general public. 1) Non-profit organizations/Youth Organization: Recognizes City of Ramsey 501c3 groups or non-profit group that provides significant service to and for the City in the current year. These are charitable, governmental, or tax-exempt organizations that are formed for the purpose of fulfilling a mission to improve the common good of society rather than to acquire and distribute profits. Examples of non-profit and governmental organizations include (but are not limited to): youth organizations, 4- H, Lions Clubs, Rotary Clubs, Beyond the Yellow Ribbon, religious institutions, government institutions, educational institutions, senior citizen clubs, etc. Proof of local non-profit 501c3 status is required. Free community seminars on products or services that a business sells shall not constitute non-profit status for renting rooms in the Ramsey Municipal Center: for example, free insurance educational training from an insurance firm. These types of businesses shall be considered for-profit. 2) Business networking groups: These groups hold meetings with the intent of developing and attaining business leads to increase their market presence. The business applying for a room must be a Ramsey business. Said businesses must have completed their Business Registration Certificate (BRC) with the City of Ramsey for the current year to be eligible. All businesses shall be registered with the Minnesota State Department. At least half of all participating businesses must be Ramsey businesses. A minimum of four (4) businesses must be present to constitute a business networking meeting. 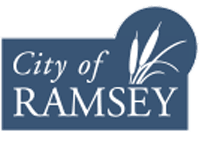 3) Homeowners Associations located within the City of Ramsey limits are offered a reduced rate from the general public status for City Hall facilities and residential rate for park facilities. 4) General public: This includes anyone who does not fall under the non-profit/youth organization, homeowners association and business networking groups. In cases where it is not clear whether a group or organization merits a certain status, the City of Ramsey personnel shall make a determination. Proof of local non-profit status, business registration, driver’s license and/or additional information may be requested to assist in this determination. Valid I.D. such as a driver license or other proof of residency. A civic group, organization, business, industry or school with its physical facilities located within the City limits. A representative of a youth organization, community school, or church wherein at least fifty (50) percent of the participants are Ramsey residents or which have provided significant benefit and service to and for the City. b.) Non-Resident: Any person, civic group, organization, business, industry, church or school not residing or having physical facilities located within the City limits of Ramsey. The physical sale or transaction of goods or services is not allowed within the Municipal Center for any user. PRIORITY OF USE: The need to conduct City business takes precedence over any reservation. Reservations will be rescheduled, if possible, or refunded if City business replaces the said reservation. All remaining reservations will be accepted on a first come first serve basis upon receiving a completed application and payment. your date is not available, an alternate date or location will be offered. This also applies to any discrepancy in a reservation. For park facilities, reservations for the current year generally will begin the first business working day in January of that year at 12:01 am. This does not include the New Year’s Day holiday. Annual lease agreements are the only exception to 1 year in advance reservation requests. For reservations in January or February contact the parks department directly. Governmental functions normally are scheduled at a minimum of three (3) days in advance. However, this requirement may be waived if the need is significant or an emergency exists. Governmental functions may supersede any other use with or without reservations if 1) three (3) days' notice is given; or 2) there is no other practical alternative. An attempt should be made, as practicable, to find other alternatives and give three (3) days' notice whenever possible. The permit to utilize a room within the Municipal Center and park facilities is valid only for the date, time and person specified in an approved application. Groups may not occupy a room longer than their reserved time frame. Maintenance fees on annual lease agreements must be paid at the beginning of the lease calendar; any unused reservations may be substituted for a rescheduled night and will not be refunded. The City Administrator reserves the right to waive rental fees for distinct situations at his/her discretion. These rates will be based on a resident versus non-resident basis and dependent upon the capacity of the room. In an effort to encourage community engagement, rates reflect prioritization of local businesses, organizations and residents. Rates will be reviewed and adjusted periodically by Council resolution. Regular hours are Monday - Thursday: 7:00 a.m. - 9:00 p.m. and Friday: 7:00 a.m.
- 4:30 p.m. If a group’s reservation extends past regular hours, they will be charged the after-hour rate accordingly. b) Coffee Service: Coffee service is available in the Alexander Ramsey Room and Lake Itasca Room. The fee for use is set annually by City Council resolution. Coffee must be purchased from the City for use in the coffee service. Outside percolators, coffee pots, or similar equipment may not be brought in for use in the meeting rooms. No storage of equipment is allowed in the meeting rooms or kitchens by outside groups. c) Picnic Table Moving: A notice of seven (7) days in advance of the event is required for this service and is subject to adopted fees. Keys or access cards may be issued for access to the facilities with a key/card deposit. This deposit will be reviewed and adjusted periodically by Council resolution. Transfer of the key/card to another individual or group is not allowed. Keys cannot be duplicated. Violation of this policy will result in forfeiture of your deposit and revocation of your reservation privilege. All groups (including non- profit group/youth groups) are charged for the key deposit. b) Damage Deposit: A refundable damage deposit will be charged to all groups using the facilities. Groups entering into one-year leases or renting a facility for more than one event can roll the damage deposit forward until termination of the lease or the end of the scheduled events. This deposit will be reviewed and adjusted periodically by Council resolution. It is the responsibility of the group utilizing the facility to set up tables and chairs as desired, clean up the area used, lock all doors, turn off all lights before leaving the facility and set the thermostat to 60° in winter months and 74° in summer months (in the park facilities only). The need for additional cleaning or other maintenance could result in the City’s retention of all or a part of the damage deposit. c) Return of Key and Damage Deposits: Deposits are not held. They are deposited and a check from the City is issued at the time of refund. The deposit will be returned upon return of facility key (park facilities only) and satisfactory inspection of the condition of the facility. General clean-up of the facility and wiping down tables is the responsibility of the group. Please be courteous that the facility is in clean condition for the following renter. Pick up surrounding area of trash. All trash and recycling should be thrown away in the correct bins. Remove all banners, tape, balloons and signage used during your reservation. Put back chairs and tables as they were when you arrived. Ensure that no damage or vandalism occurs at the facilities during your reservation. Return key the following business day (park facilities only). d) Additional Park Facility Notes: To keep park rental costs to a minimum, park staff does not work after hours; therefore, your cooperation may include the need for light pre-cleaning, due to normal public use of park facilities or wildlife impacts, etc. Please note that after-hours staff should be contacted for emergency purposes only through Anoka County Police and Fire dispatch. systems. Activities such as water balloons are not allowed. Games filled with toys or candy that might become messy may not be allowed, please inform staff for approval. Bounce houses require a Certificate of Liability Insurance naming the City as additional insured for approval. I. CANCELATION POLICY: There will be no refunds made due to inclement weather. However, full refunds will be available for cancelations made at least five (5) working days (Monday - Friday) prior to the scheduled event. No refunds will be issued if cancelation is made less than five (5) working days prior to the event. 1) Ramsey Municipal Center: In the event of an emergency and/or severe weather, building maintenance staff has the authority to suspend all activity within the facility and evacuate all individuals to the nearest emergency shelter. The Police Department Locker Rooms shall serve as the Emergency Shelter for the Municipal Center. 2) Ramsey Park Facilities: In the event of an emergency and/or severe weather, find the nearest emergency shelter. CLEAN-UP AFTER USE: General clean-up of the facility is the responsibility of the applicant. If any item such as confetti or similar is thrown in a conference room or park facility; including playground, your group is responsible for cleaning up said material. All trash and recycling should be thrown away in the correct bins. Additionally, if a facility is not cleaned up, the cost the City incurs will be assessed to the applicant from their deposit. 2) Audio Visual Equipment: Two (2) days’ notice must be given prior to event for use of City owned audio and visual equipment. All equipment should be used for its intended purpose. FOOD AND BEVERAGE IN MEETING ROOMS: Food and beverages may only be served and/or consumed in the Park Center Building, Elmcrest Park Community Building, Lake Itasca Room, and the Alexander Ramsey Room. Food may not be consumed in the remaining Municipal Center conference rooms (Mississippi River Room, Rum River Room, Trott Brook Room) or approval for food may be granted by the Building Maintenance Supervisor @763-433-9815 on a case by case basis. Municipal Center, noise from within conference rooms should not be heard out in the hallways. ARTS AND CRAFTS: No glue, hot glue guns, glitter, permanent markers are allowed in Municipal Center conference rooms or park facilities. POSTERS: Posters may be hung around the Municipal Center the day of the event for directional purposes. This must be coordinated with the Building Maintenance Supervisor and blue painters tape must be used. SMOKING: All municipal facilities and City parks are public buildings and are smoke free. Smoking is not permitted in any City facility, or on the Municipal Center Campus or Municipal Parking Facility. PETS AND ANIMALS: No pets or animals are allowed into the Municipal Center or conference rooms. Animals will only be allowed if needed for a health reason. In City of Ramsey parks all dogs shall be restrained at all times on adequate leashes no greater than eight (8) feet in length. STORAGE: The Ramsey Municipal Center and Ramsey park facilities are not to be used for storage of equipment or supplies for organized groups of the general public. Items, equipment and supplies must be removed after each meeting. ALCOHOL AND CONTROLLED SUBSTANCES: Alcoholic beverages are allowed in City of Ramsey parks, by permit only with exception to The Draw for City sponsored events. Except by permit or license, no person shall consume intoxicating liquor or 3.2 percent malt liquor in a public park, on any public street, sidewalk, parking lot or alley, or in any public place other than on the premises of an establishment licensed under Chapter 6 or where the consumption and display of liquor is lawfully permitted. The selling and consumption of alcoholic beverages may be allowed on the premises if a special event permit is obtained and approved by City Council. All glass bottles must be removed from the premises. For more information regarding a special event permit, please contact the Public Works Administrative Assistant at 763-433-9820. FIREARMS: All firearms need to be pre-approved with a permit before they will be allowed on the premises. For more information please contact the Police Department at 763-427-6812. LIABILITY FOR DAMAGE: The users of the facilities as an individual and as a group are liable for any damage to public or private property or injury to any person resulting from the use or presence at the facilities. If damage is found, the group will forfeit the deposit and pay the cost of all damages and repairs needed. A conviction of vandalism can result in a $1,000 fine and/or ninety (90) days in jail. event. For more information please contact the Public Works Administrative Assistant at 763-433-9820.